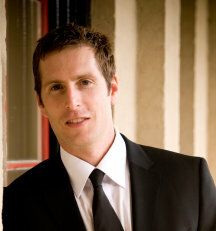 Dr Tyler Hersak graduated from Simon Fraser University in 1996 with a Bachelor of Science in Biochemistry. He later moved to California to pursue his Doctor of Chiropractic training from the Los Angeles College of Chiropractic and graduated on the Dean’s List in 2001. Dr Hersak is licensed through the BC College of Chiropractors. He is also a member of the BC Chiropractic Association and the Canadian Chiropractic Association. "I have had excellent results...my main issues is my migraines." "I left with peace of mind and the comfort of an accurate diagnosis and that I would get back to good health." Please see the full, hardcopy patient tesimonials, and others in the office!